Andrew Selee discusses the Cross Border Express linking San Diego to the Tijuana airport. 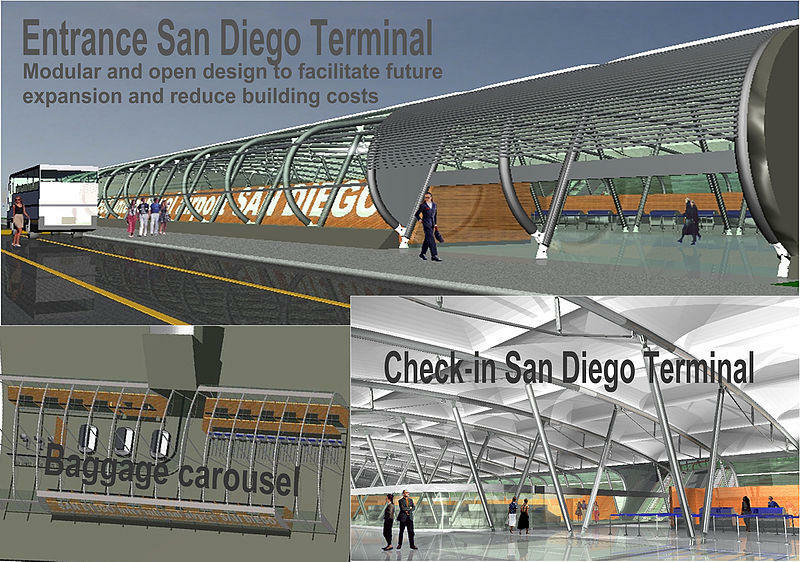 Tijuana cross-border terminal modular design concept presented at the Partnership for Prosperity Washington, D.C. 2002. Selee said a pedestrian bridge connecting San Diego to the Tijuana airport is the perfect metaphor for the bond between the two countries. It went into operation in 2015. 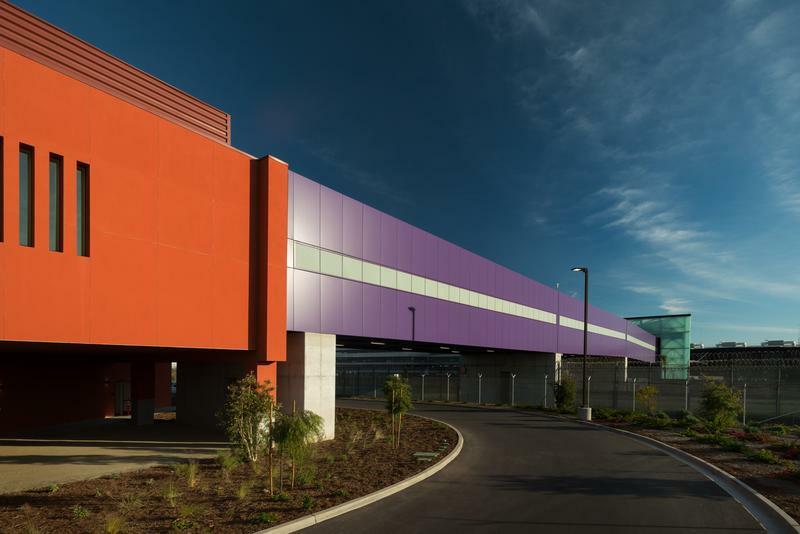 The Tijuana airport already had international flights to China, Japan, and Korea, he said, “and so instead of building a new airport, all they had to do was build a bridge across the border to the Tijuana airport,” he said. Selee also describes an incident in which the Mexican Army set foot in the U.S. for only the second time since the Mexican-American War. 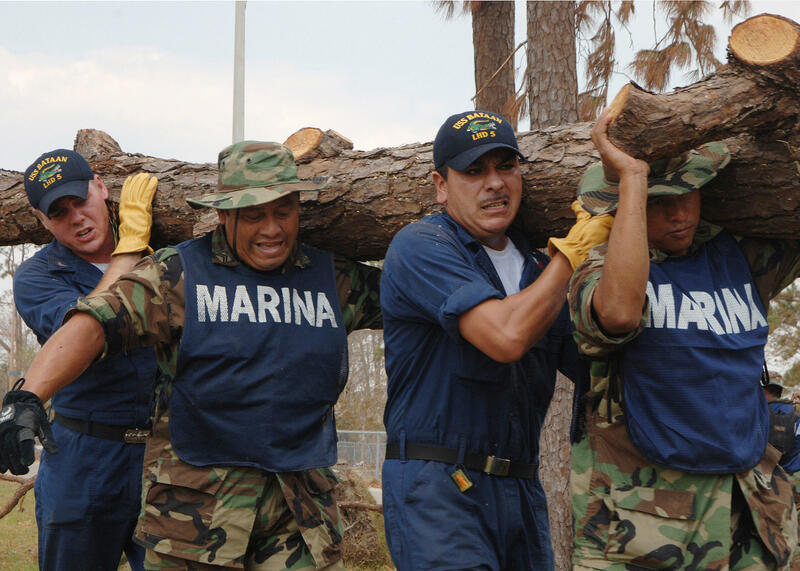 Mexican marines and U.S. Navy sailors cleaning up debris outside of a hurricane-stricken Mississippian elementary school in September 2005. Selee said the Mexican military distrusted the U.S. and vice versa. But when Hurricane Katrina struck in 2005, the Mexican government offered to send the Mexican army to provide assistance, which started unprecedented negotiations between Stephen Kelly, second in command at the U.S. Embassy in Mexico City, and his Mexican counterpart Bosco Martí. Kelly had told Martí that they had just turned German assistance away because they didn’t follow the right protocol. Artículo anteriorMexico stands with migrants. The new U.S. asylum policy must respect their rights.